Southampton Football Club has appointed Leeds agency Delete as its digital partner after a competitive four-way pitch. The Premier League club will work with Delete to develop a digital transformation strategy focused on increasing fan engagement within the UK and internationally. As part of the agreement Delete will create a range of new digital consumer touchpoints, across multiple channels, focused on driving a better experience for the club's fans and awareness of its brand at an international level. 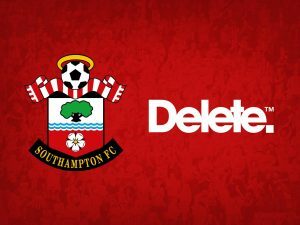 Southampton FC’s partnership with Delete comes as part of a busy summer for the club, which has seen the club form new brand partnerships including a seven-year kit deal with Under Armour and the appointment of Virgin Media as its new main club sponsor. Tom Dougherty, user experience director at Delete, said: “Southampton FC has big ambitions to build on their recent success with the growth of their brand internationally. James Kennedy, the Saints' marketing director, added: “The nature of the ever-changing digital media landscape meant that we were looking for an agency that, like ourselves, are not afraid to think outside the box and challenge the norm. Delete's other clients include Expedia, RedBull, Carluccio’s and Qatar Airways.